As the wonderful season approaches, Experts Hosting would like to wish you Merry Christmas! In this merry and bright month, Experts Hosting is offering a great promotion for you. 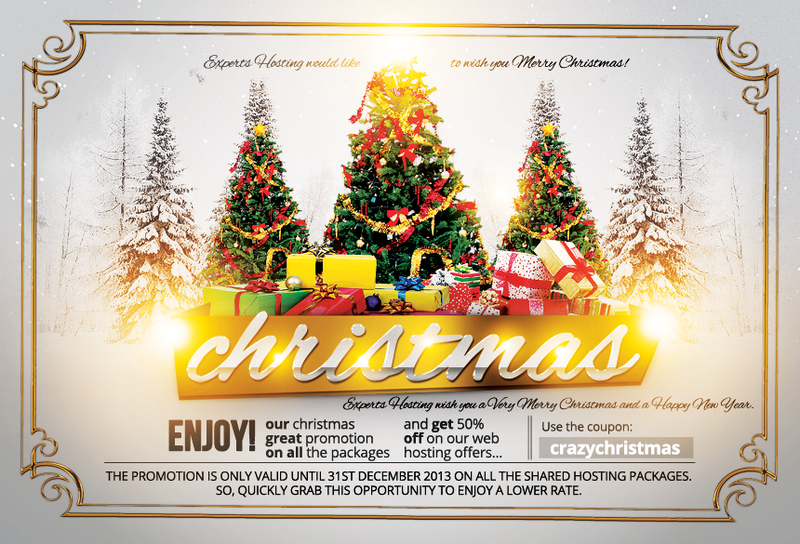 The promotion is only valid until 31st December 2013 on yearly plans. So, quickly grab this opportunity to enjoy a lower rate.